Excellent location and super friendly staff! Very clean room and easy to find. The two girls running it ensured we had a memorable experience! They were very eager to help us navigate through the area and gave us detailed tips of what to visit! Will definitely come back! The cafe around the corner offered great breakfast at excellent prices! Absolutely recommend it! The property was close to the beach (at walking distance), which made it easy to have dinner and breakfast there. The lady welcoming us was really friendly and helpful. 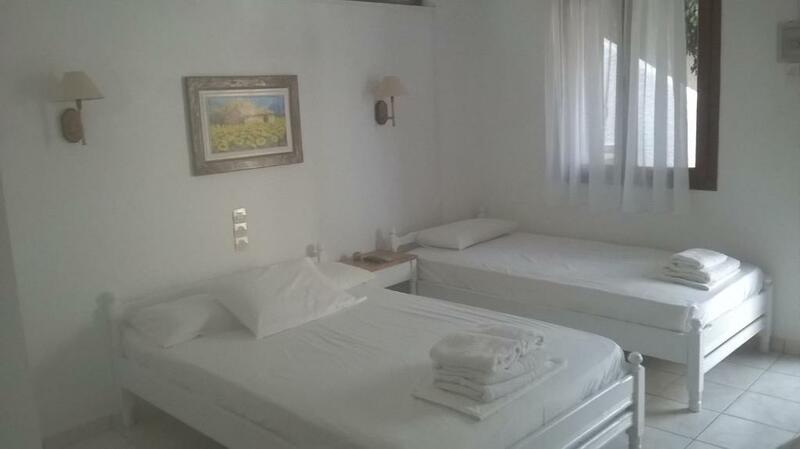 The rooms are comfortable and just a few hundred yards from the beach. The location was a convenient base for nearby Gythio and also for a driving tour of the Mani. There is private parking which is useful for those travelling by car and a fairly large supermarket just a 5 minute walk away. 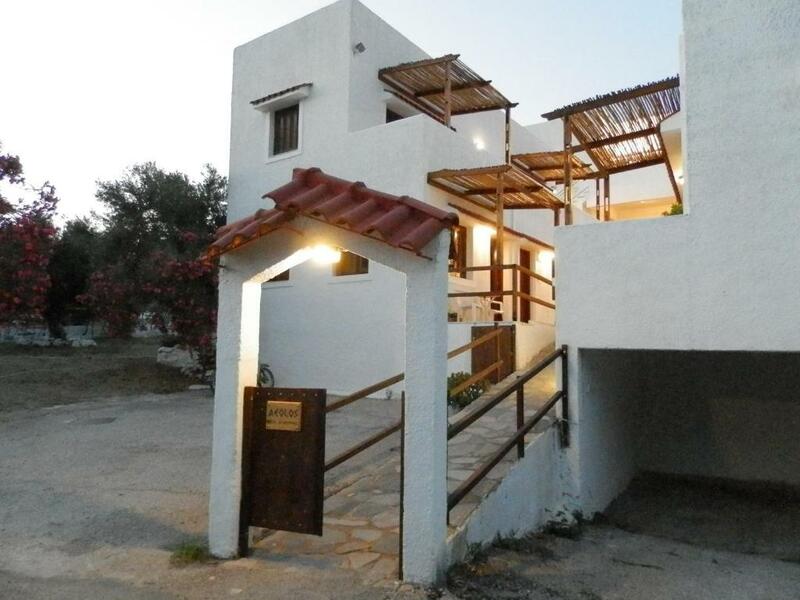 We liked the "Ammos" taverna right on the beach a 15 minutes walk (1km) from the apartments. Everything was perfect. Very clean, nice room, vintage decorated. Rooms were very nice! And the restaurant down the road was extremely good!! Very beautiful apartments, nice owner and nice, quiet beach. We were staying there off-season so we were the only guests which made our stay even more relaxing. There is a supermarket and café really nearby, so we had everything we needed. Our apartment was cleaned every day by the owner and we got fresh sheets and towels every two days. Very close to the beach. And extremely nice beach! It was quiet. In principle there is everything one needs in the room. The dishes was a bit dirty from the previous guests. All the other was clean. If you come by car - it is a perfect place to visit the Mani peninsula and Monemvasia (highly recommended!) The host is very nice! Thank you! There is a good restaurant on the beach (when you come from the appt to the beach turn right and walk around 500 meters) it is open late in the night and you would have very good seafood there and not at all expansive! Lock in a great price for Aeolos Hotel Apartments – rated 8.5 by recent guests! Aeolos Hotel Apartments This rating is a reflection of how the property compares to the industry standard when it comes to price, facilities and services available. It's based on a self-evaluation by the property. Use this rating to help choose your stay! Located 350 feet from Mavrovouni Beach and only 1.2 mi from Gytheio, Aeolos Hotel Apartments offers air-conditioned studios with free Wi-Fi and furnished balcony or patio. Shops and restaurants are within 650 feet. 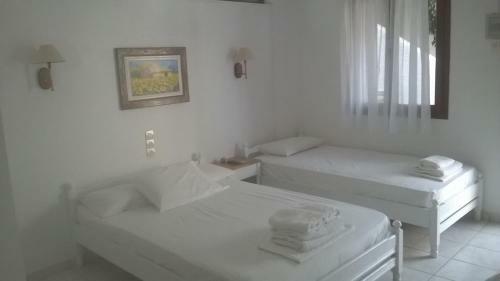 A kitchenette with fridge and cooking facilities is included in all studios at the Aeolos Hotel Apartments. Each has a TV and private bathroom with shower. A children’s playground is available for younger guests. The famous Diros Cave is 16 mi away. Sparti Town is within 28 mi. Free private parking is possible on site. When would you like to stay at Aeolos Hotel Apartments? 328 feet from the beach, this air-conditioned studio offers free Wi-Fi and furnished balcony overlooking the olive grove or the sea. 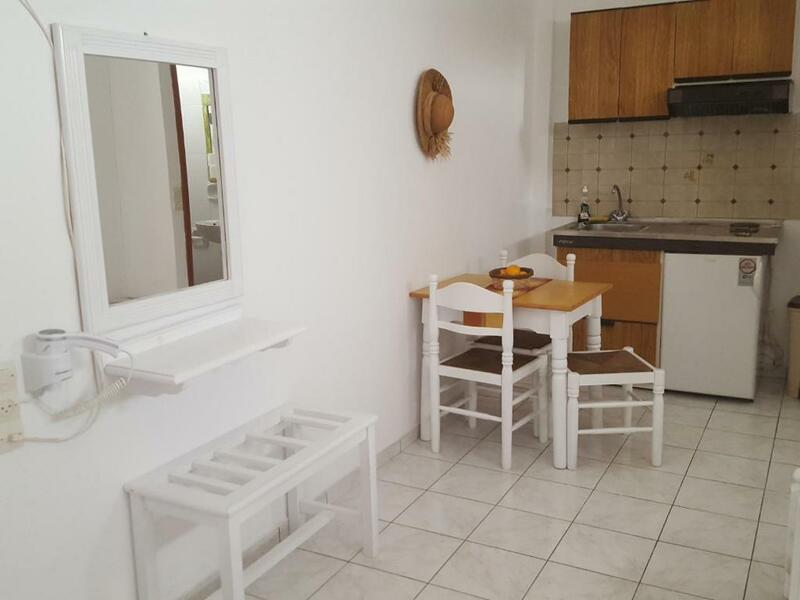 A kitchenette with fridge and cooking facilities is included. Please note that this room type is located either on the 2nd or the 3rd floor and is accessible by stairs. 328 feet from the beach, this air-conditioned studio offers free Wi-Fi and furnished patio. A kitchenette with fridge and cooking facilities is included. Please note that this room type is located on the elevated ground floor and overlooks the hotel's patio. 328 feet from the beach, this air-conditioned studio offers free Wi-Fi and furnished patio. A kitchenette with fridge and cooking facilities is included. Please note that this room type is located on the elevated ground floor and overlooks the hotel's patio. This studio features a electric kettle, toaster and tile/marble floor. Μας αρεσουν οι βολτες στην τεραστια παραλια του Μαυροβουνιου με τα δυο μας σκυλια.Αγαπημενη μας ασχολια οι ξυλοκατασκευες και η διακοσμηση. House Rules Aeolos Hotel Apartments takes special requests – add in the next step! Aeolos Hotel Apartments accepts these cards and reserves the right to temporarily hold an amount prior to arrival. Please note that discounted rates are offered to guests, at the owner's cafe and cocktail bar, 150 feet from Aeolos Hotel Apartments. Several breakfast options can be also found on site at extra charge. Please inform Aeolos Hotel Apartments of your expected arrival time in advance. You can use the Special Requests box when booking, or contact the property directly using the contact details in your confirmation. Limited facilities in a kitchenette. Very pleasant roommate. Quiet place. The mattress was quite hard, making it impossible to sleep on your side for long. Great location, very clean, nice hospitality. Breakfast is not served in the Aeolos Hotel Apartments but in a nearby cafe which we did not use. Our room was on the top floor and had a distant sea view to the side. The supermarket nearby is expansive and the choice is very poor. If you travel by car, try to take the food with you. There are Lidl supermarkets in Skala and Sparta, so it should be on your road to Githio. The hotel keeper Takis was amazing! She tended to our every request and went out of her way to make our stay enjoyable. We had a very good time, enjoying the place with a beautiful view, nice room and the short walking distance to the beach. The contact to the family running Aeolos was a special experience, we had a lot of communication and fun together. Also their coffee-place at the corner with breakfast and snacks with a lush garden, where breakfast was served, is such a nice place where we enjoyed sitting there. We said good-bye as friends a hope to come back.